Here at AVM, we supply an extensive range of services to a wide range of locations. One of the main locations we cover is Cheltenham. We supply our services to all postcodes in the Cheltenham area. We take pride in taking care of all our customer’s needs and ensure that the services we offer are done to the highest of standards. Here at AVM, we take care of a range of storage needs. Throughout Cheltenham, we are renown for offering secure storage for whatever our customer’s individual needs are. 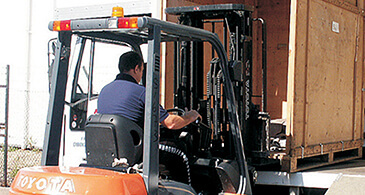 The storage facilities that we provide can be used for a wide range of circumstances. All of the units are extremely safe and the flexible service ensures that it is easy to manage your items. We not only offer domestic storage but we can also offer commercial storage. This is a perfect option for companies who are in the process of completing an office move. AVM is recognised as a reliable and reputable brand for providing international shipping. We are located only 5 minutes away from the M5. This helps to ensure that our facilities are easily accessible by our customers. Here at AVM, we are renown for providing an efficient international service to our customers. We have great experience in shipping an extensive range of goods. Due to our location, we have easy access to all main shipping ports. We are also familiar with all international shipping rules and regulations. This ensures you can relax knowing that all the hassle surrounding international shipping is taken care of.